It would seem natural to me to involve C++, OpenGL, GLUT and a linear algebra package e.g. 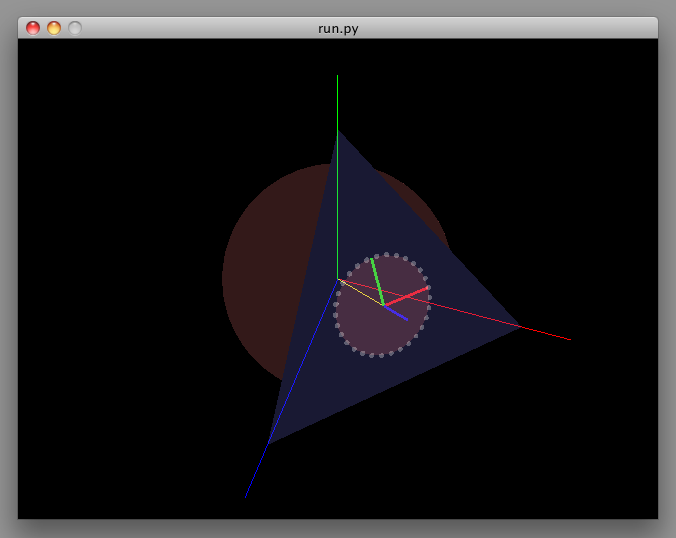 GML, when in comes to visualizing a geometric problem. 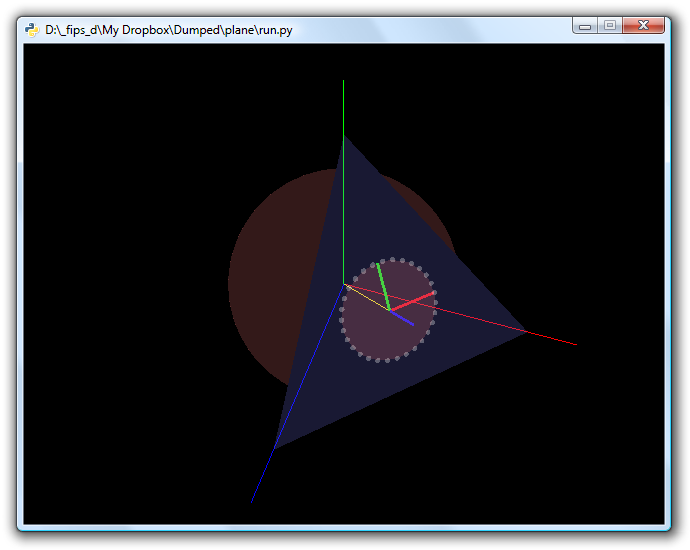 However, I’ve recently tried a more straightforward way to do this using pyglet and pyeuclid. There’s a significant boost in productivity using these Python-based tools, especially when it comes to small, kind of engineering tasks. I’ve managed to code the whole problem in just 2 hours with no surprises (incl. environment setup, without previous experience! ), something totally impossible using the native approach, and there’s a bonus as well – it runs seamlessly on booth Windows and OSX.